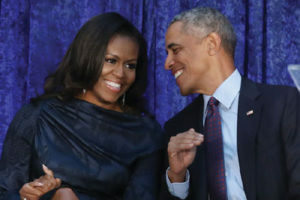 Netflix Inc. NFLX +0.99% signed former U.S. President Barack Obama and the former first lady, Michelle Obama, to a multiyear deal to produce shows and documentaries for the streaming platform. The deal will give Mr. Obama an international platform, reaching Netflix’s 125 million streaming members around the world. While writing books and going on speaking tours have been commonplace for past presidents, the wide-ranging media deal is unique. In a statement, Mr. Obama said he wants to use the work with Netflix to increase empathy and understanding among people. The Obamas have established Higher Ground Productions to create content for Netflix. Netflix has become a force in media, increasingly securing exclusive deals with top-tier talent in recent years. Earlier this year, Netflix signed producer Ryan Murphy to a multiyear, multimillion-dollar deal to create content exclusively for the service, and last year the service lured “Scandal” creator Shonda Rhimes away from ABC. Last year, Penguin Random House struck a deal for separate books by Mr. Obama and Mrs. Obama that would look back at their years in the White House.